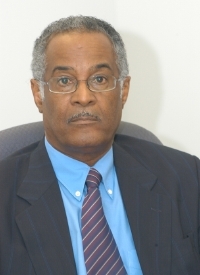 It is a dispute over prime Barbados land valued at over one Billion US$ Dollars. As they say… When it starts with a “B” that is real money. The list of people involved in the case reads like a “who’s who” of Barbados royalty – and includes the current Prime Minister David Thompson, past PM Owen Arthur, Chief Justice SIR David Simmons and a host of lawyers and courtiers to the island’s rich and powerful. Just as the brother of the Chief Justice threatened, the University Professor was fired – so it is obvious that Peter Simmons, his brother Chief Justice David Simmons and other big-ups will do anything to get out of this Kingsland lawsuit. Some Barbados Companies Aren’t Required To Keep Financial Records! Keltruth Blog also reports that two front companies involved in the lawsuits – Kingsland Estates Limited and Classic Investments Limited – don’t bother with the laws of Barbados when it comes to keeping financial records or disclosing the records to shareholders or filing them with the government. Of course, no charges have ever been laid against these companies even though they have gone years without complying with the law. How interesting that companies associated with the CHIEF JUSTICE OF BARBADOS don’t bother to comply with our laws! Oh well… it is not like these companies fear the courts! My friends, we all know that there is one law for the elites and one law for the rest of us on our small island. The justice system, the police, the news media and the courts are often nothing more than tools of the elites. Sometimes naive foreign investors realise all too late how the system is stacked against them in Barbados. “Everyting be fine” as long as everything is fine, but when there is trouble the little people and foreigners want justice – well, that is another story! Mostly these injustices are reserved for Bajans – who know when to keep their mouths shut and their eyes closed. But increasingly, foreigners are coming to realise that justice in Barbados is a crap-shoot. In Barbados, the outcome of any lawsuit is more often than not dependent upon those involved, rather than justice and rule of law. If you can take it. If you want to know about justice in Barbados…. Head on over to Keltruth Blog where the court documents are published. You sure won’t find the case mentioned in the Barbados news media! Barbados Free Press: Barbados Land Sold At 16 Cents Per Square Foot!